Camelia Truan Gutierrez, 72, of Oak Harbor, passed away at Skagit Valley Hospital, Monday, Feb. 5, 2019, following a brief illness. 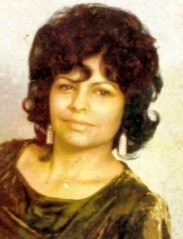 Camelia was born in Kingsville, Texas, on Feb. 10, 1946, to Eugenio Davila Mendez and Francisca Eloisa (Truan) Mendez. She was raised in Kingsville, and spent much of her life there. She met and married Angel Anthony Fernandez while he was home on leave from serving in the US Navy. She also lived in Longview, Wash., before moving to Oak Harbor to be near her son and daughter. Visitation will be Saturday, Feb. 16, from noon to 5 p.m. at Whidbey Memorial Funeral Home, followed by a reception at Oak Harbor Church of the Nazarene, 1100 W Whidbey Ave., from 5-8 p.m. Interment will take place at Hudson Cemetery, Rainier, Ore., where Camelia will be buried next to her mother, Francisca Eloisa Mayfield, and her son, Luis Fernandez. (Those interested in attending the service in Oregon may contact David Fernandez at 360-914-8988.) Family and friends are encouraged to share memories and condolences at www.whidbeymemorial.com.